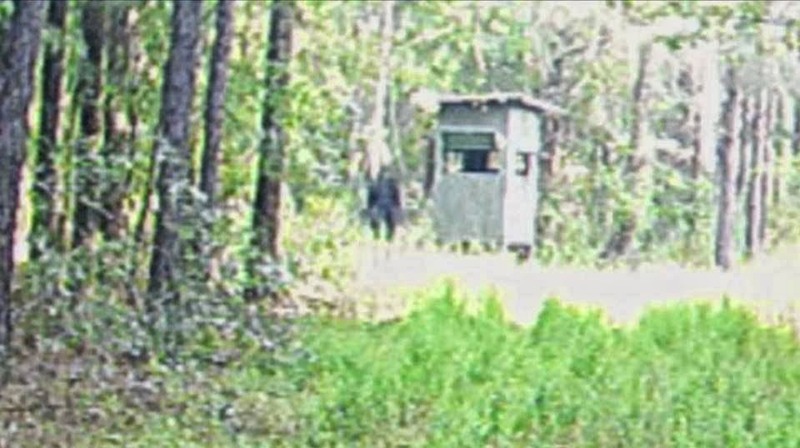 Last night on Animal Planet's Finding Bigfoot, a family in Louisiana believed they might of captured a Bigfoot on their trail camera. A trail camera detects heat and motion. Once that is detected, it then snaps a picture. The family noted that the area in which the camera was pointed is off limits to people so, anyone walking in that area would be considered trespassing. Also mentioned was that the picture was taken in the month of June! At first glance the photograph might seem like a man in his puffy hunting gear, but who would be wearing a parka jacket in the summer weather of June? 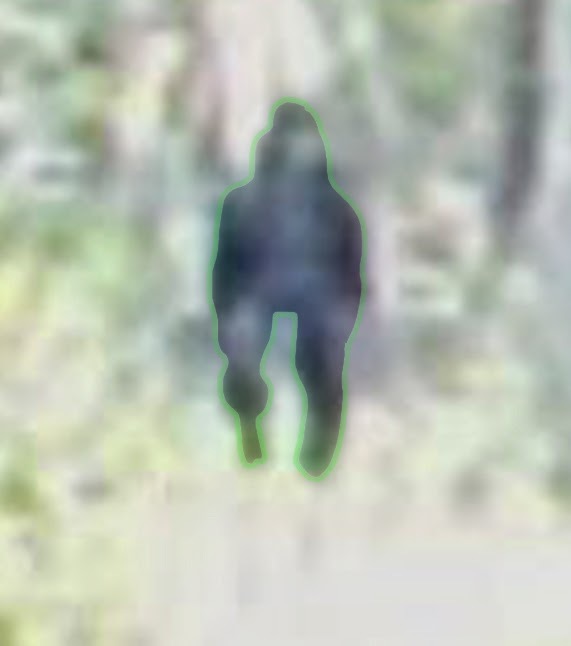 The Finding Bigfoot team had their big and tall team member, BoBo, stand in the same spot as the creature in the photograph. 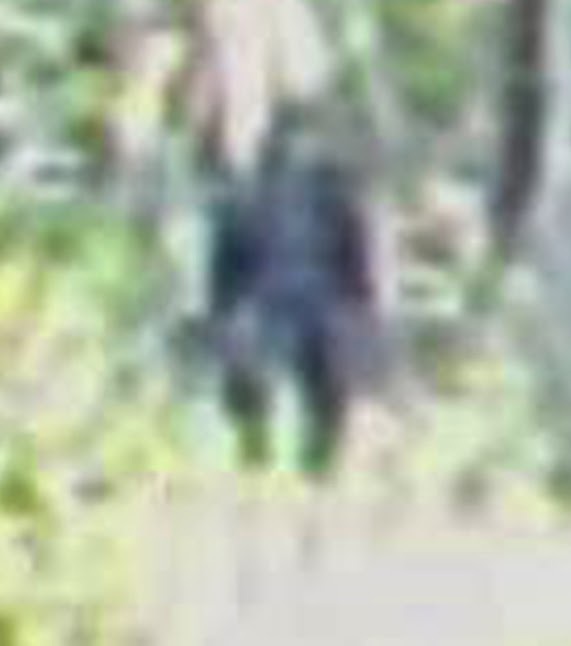 With this comparison, the team estimated whoever this was in the photograph was about seven feet tall! There have been several Bigfoot sightings in Louisiana. One hunter said he spotted what he thought was a well camouflage fellow hunter, but as he looked closer through his scope, he realized that was not camouflage, but hair! The hunter revealed he use to make fun of people who believed in Bigfoot until he happen to see one. While contemplating the fame he would receive by being the first man to shoot and kill a real Bigfoot, he admitted he did not pull the trigger simply because the creature looked too human-like. 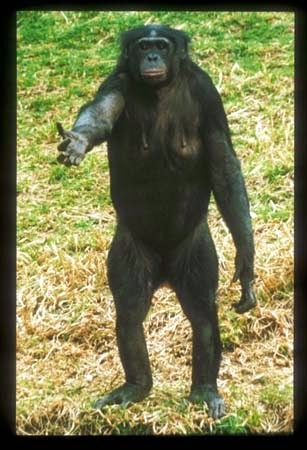 To better visualize the creature, I traced it's outline in Photoshop and compared it to that of a Bonobo standing up-right. 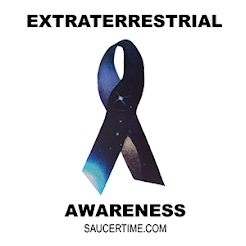 It sure looks like a Bigfoot to me, what do you think?